Every year, the Country Music Association of Ontario (CMAO) celebrates great Ontario artists, musicians, and industry professionals. This year marks the 7th year for this event, and the first time they will be taking place in the heart of the Nation’s Capital. What makes the CMAOs so fun, is that it’s actually a full weekend filled with fun events and great live music. The weekend will kick-off on Friday June 14th and will continue right until the after-party of the awards on the 16th. Tickets start at $59 and can be bought through Ticketmaster. Take a look at the winners from the 2018 CMAO Awards to remind yourself of what the show was like last year. Canadian country icon Jason McCoy has hosted these awards for a number of years, and it’s hard to imagine anyone else hosting. He does such a great job in front of a crowd, and knows how to get a crowd laughing! He bring such joy to the show, and really helps move the show along and to stay on track. We can’t wait to see him! Six time CMAOntario Award winner – including 2018 Male Artist of the Year, Jason Blaine. After earning a name for himself with hit after chart-topping hit at Canadian country radio and hitting the stage at every major country festival across Canada, Jason Blaine continues to stay true to his signature brand of earnest, no bull, rockin’ country music. It’s been a really big year for Andrew Hyatt! 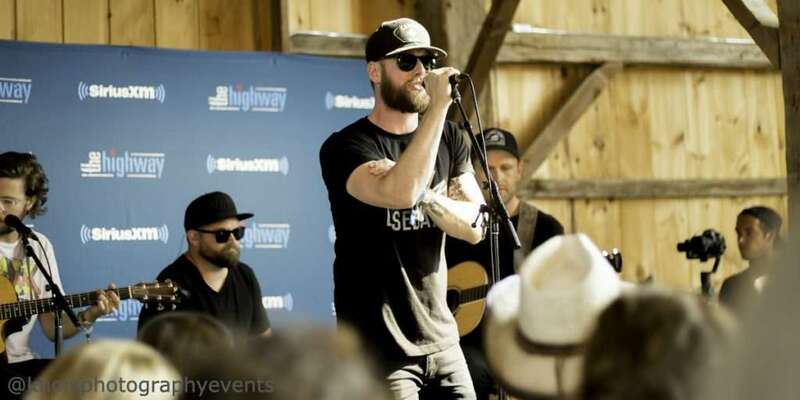 We saw him perform on the SiriusXM stage at Boots & Hearts this past year, and he captivated us from the minute he started performing. We can’t wait to see him bring it on the CMAO stage in Ottawa this year. A special guest performance by The Washboard Union, 2019 JUNO nominees for Breakthrough Group of the Year, 18X BCCMA and 5X CCMA award winners including current reigning CCMA Group of the Year. This is going to be a serious treat! These gentlemen know how to put on a show. If you’ve never had the chance to see them perform, you’re not going to want to miss this. 5 time CMAO award winner Tim Hicks has been announced as another performer at this year’s CMAO awards. Having been recently nominated for a JUNO, It’s been an exciting year for Tim. Having him perform at this year’s awards is going to be such a treat! Last year, Tim won the first ever Neilson Compass Award at the CMAOs – an honour that recognizes an artist for the most total content consumption. This is another really exciting announcement for the CMAO awards! Tebey, one of Canada’s most successful songwriters and the reigning CMAOntario Songwriter of the Year, has had a great year! Two of his singles have been in the top 5 at country radio, and “Whose Gonna Love You” went number 1! Tebey always puts on a great performance and we can’t wait to see him perform in Ottawa. It’s really no surprise that Kira Isabella is going to be performing at the CMAO awards this year. Being from Ottawa, it would be shocking if she wasn’t performing! There’s always something special about performing in your hometown, so we can be sure to see some magic on the stage when she gets up there. The Western Swing Authority are staples at the CMAOntario Awards. They are returning to the awards this year as the house band. They may not be the most well-known band as a whole, but these musicians are all incredibly decorated, and phenomenally talented. Winning 13 CCMA awards among them all, and 3 CMAO awards, it’s clear that these musicians are the dark horses of Canadian country music. Seeing them perform is always an incredible treat. We’ll be updating this page with more information and more performers as more information is released about the CMAO Awards. We’re looking forward to this year’s show!